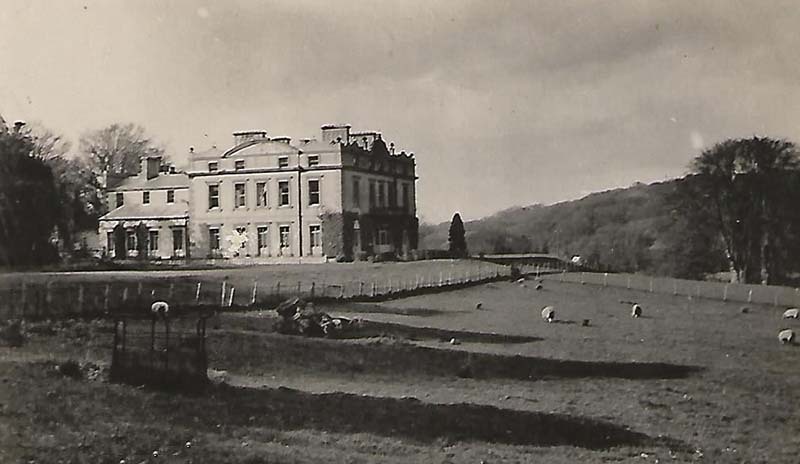 Known also as Blayney Castle after the plantation castle nearby (from which the town gets its name), Hope Castle has had many owners and uses over the years. 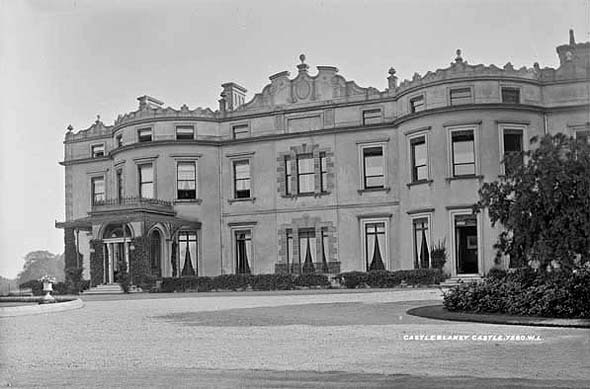 Originally a three storey 5 bay Georgian block, it was sold in 1853 by the twelfth and last Lord Blaney to the Hope family after whom the famous Hope Diamond is name. Henry Hope had the house extended, and the facade of the house received many embellishments including scrolled cresting on the roof parapets and at one stage an ornamental cast iron and glass porch canopy. After the Hopes, it was used as a military base and later as a convent. 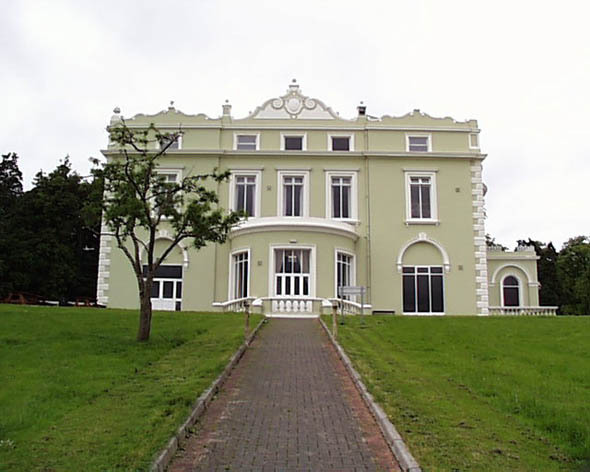 The building has suffered greatly during its lifetime – after being an convent, it remained empty for many years and was taken over the the local County Council who demolished the 19th century additions to the garden and main fronts and renovated the building. Its most interesting internal feature – a Soanesque toplit upper stair landing was destroyed during the building’s phase of dereliction. It has since been badly damaged by fire and is currently boarded up and derelict. The estate still has a good stableyard and cast-iron gateway with matching gatehouses.